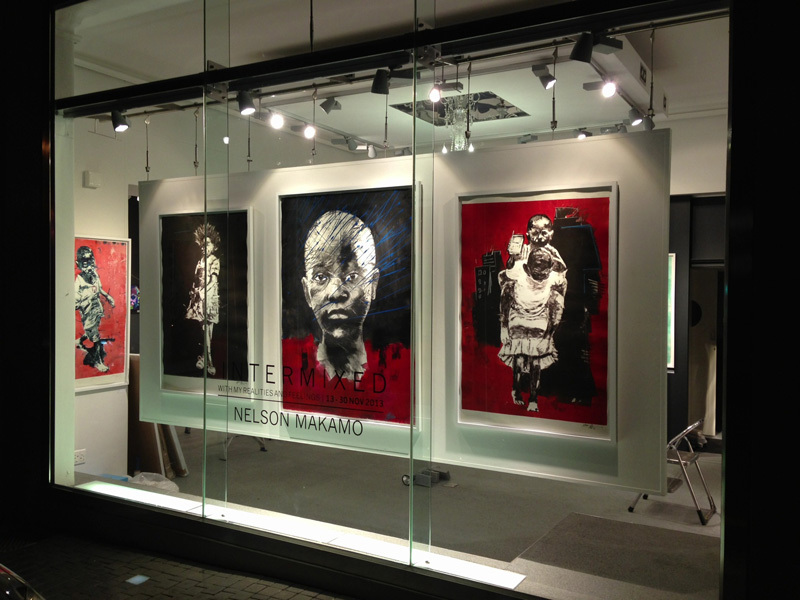 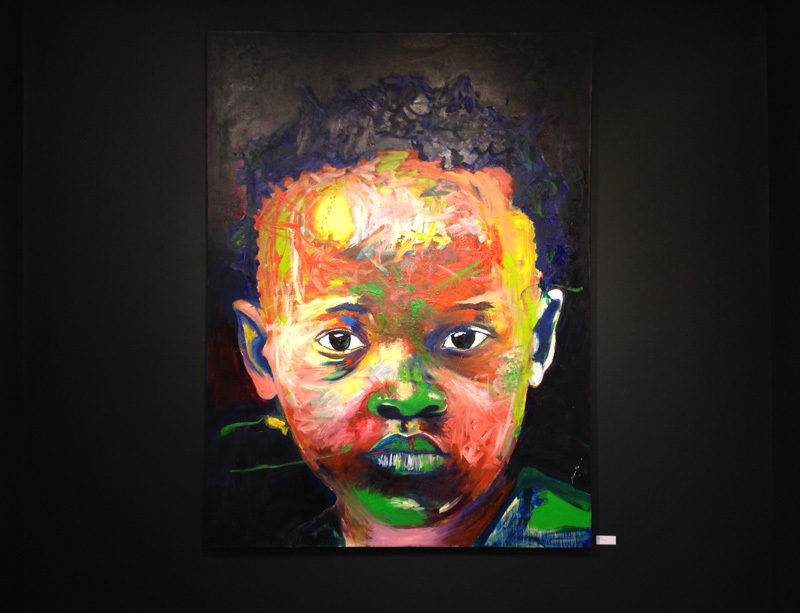 Solo Exhibition – Nelson Makamo. 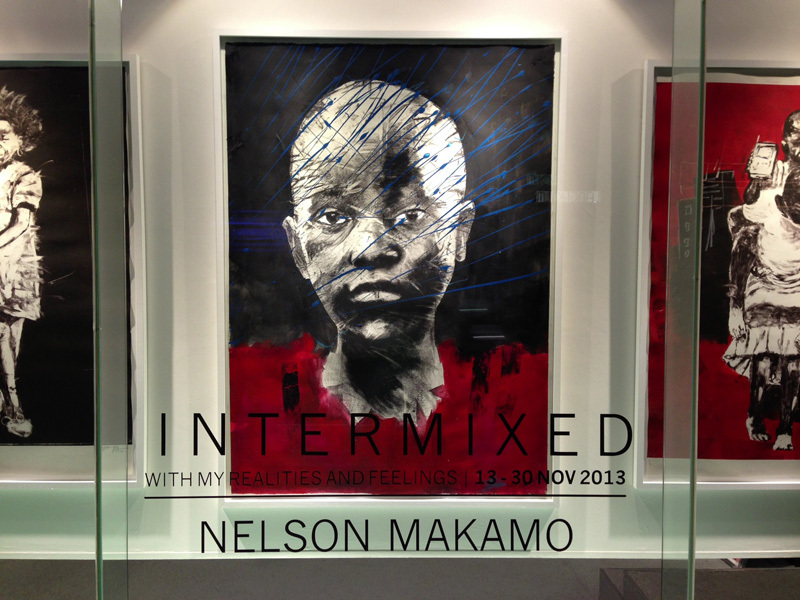 Salon91 Contemporary Art Collection proudly presents Intermixed with my realities and feelings, a solo exhibition by Johannesburg-based young rising talent and investment artist, Nelson Makamo, a highly skilled painter, printmaker and draughtsman. 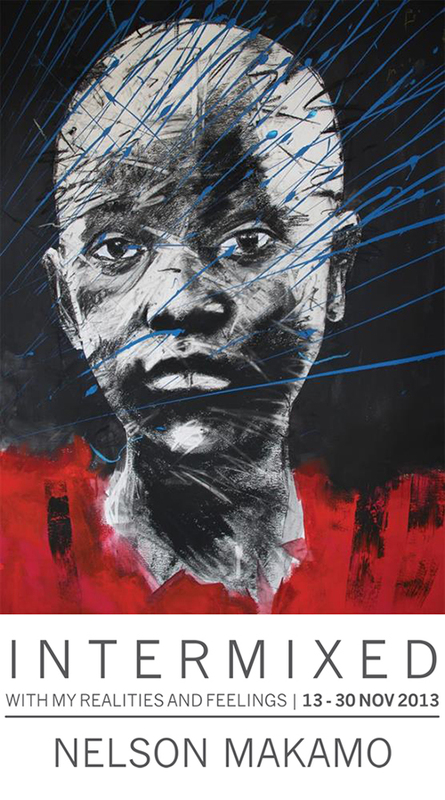 The exhibition will feature a combination of oil painting, watercolour, silkscreen & monotype print, charcoal as well as pen and ink drawings varying from dramatic monochrome to richly emotive coloured works. 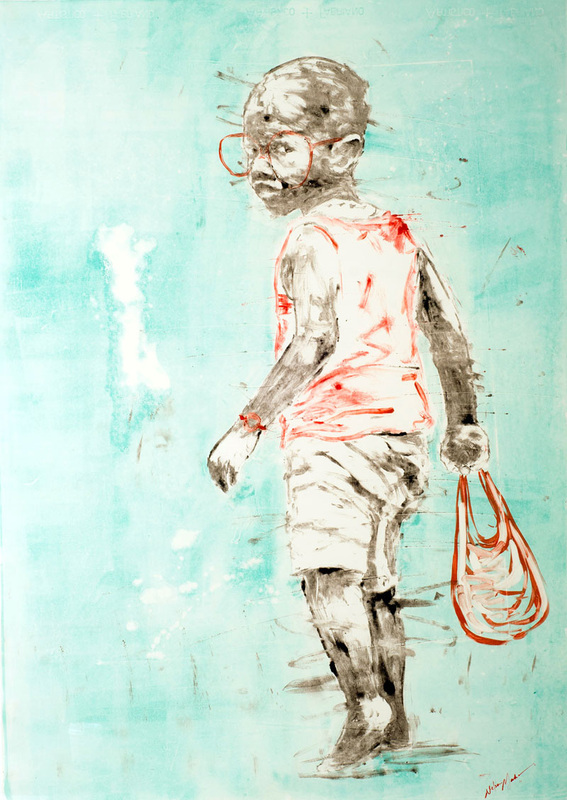 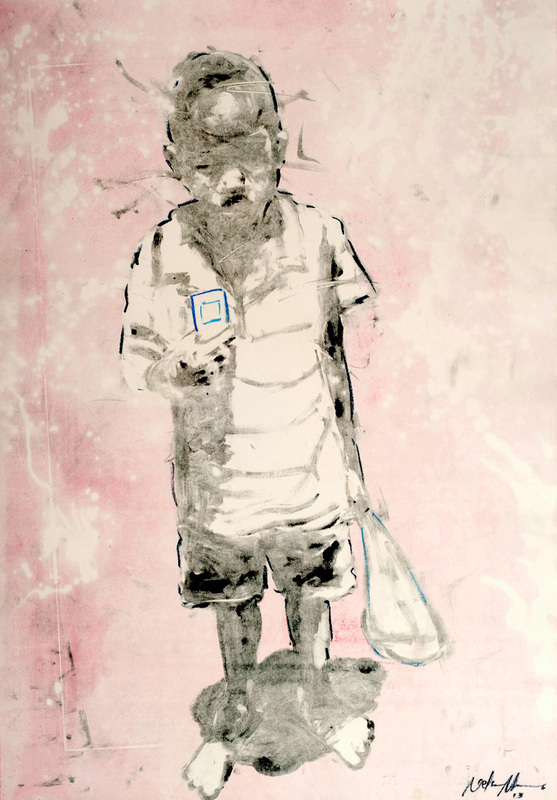 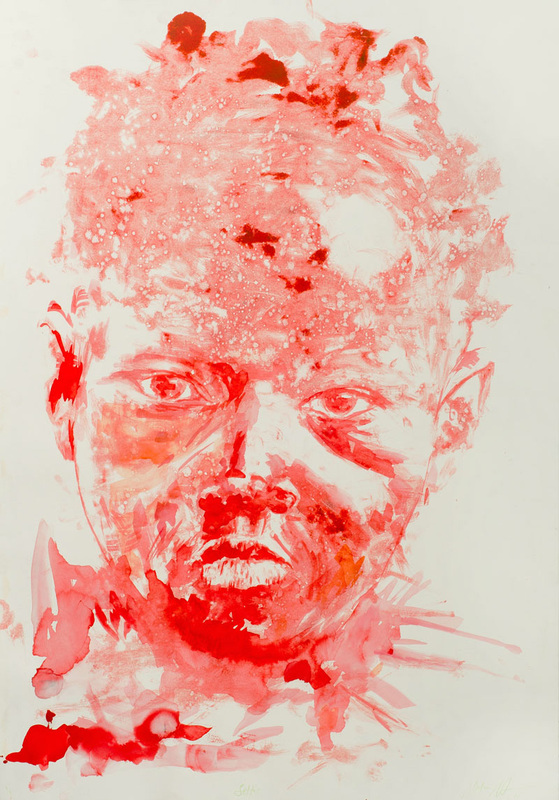 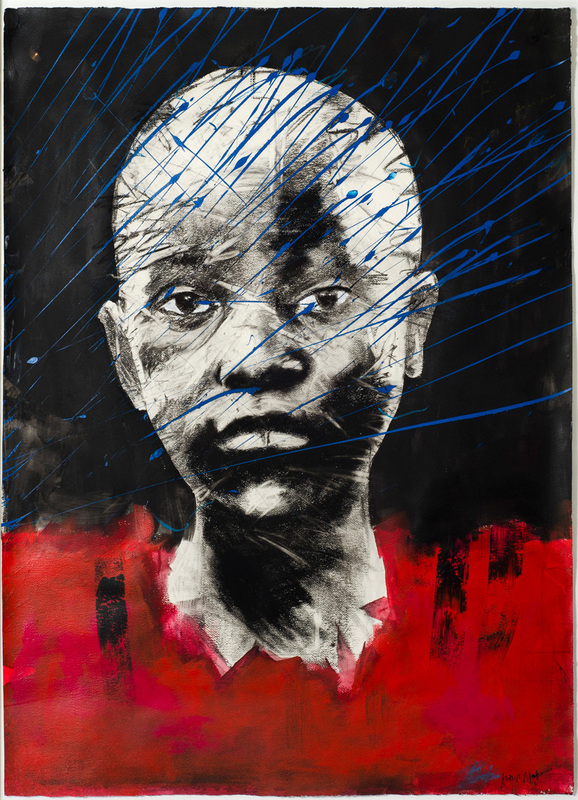 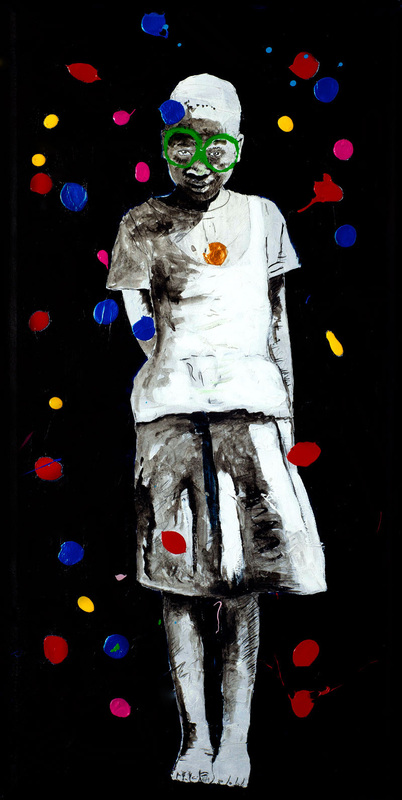 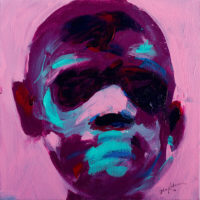 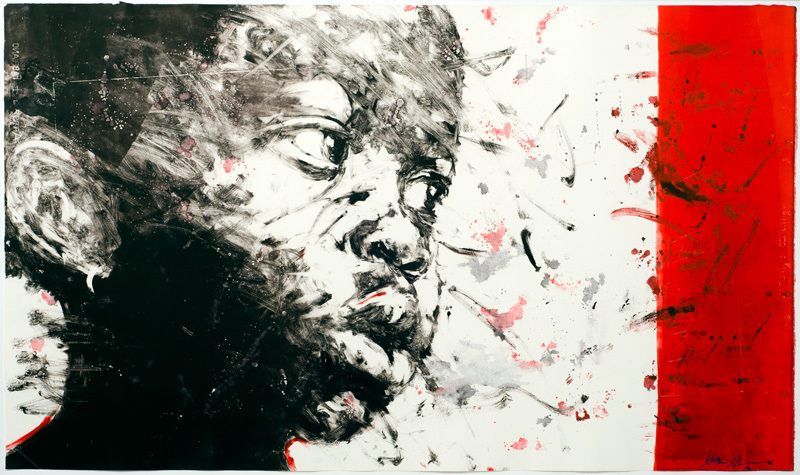 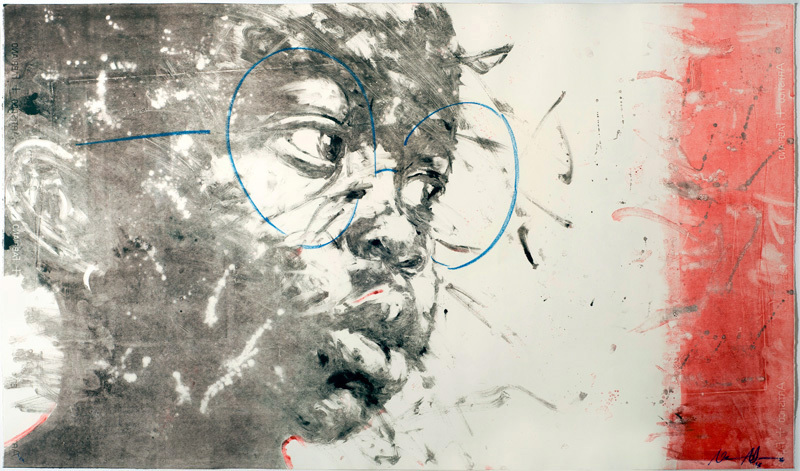 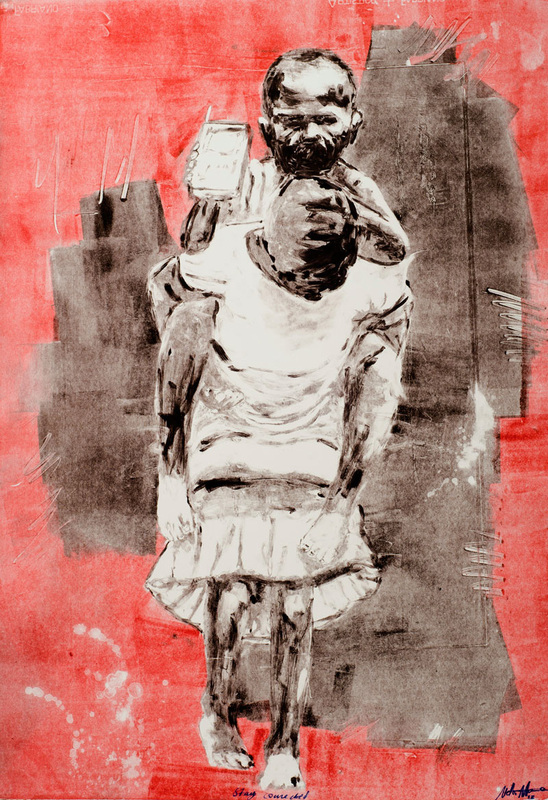 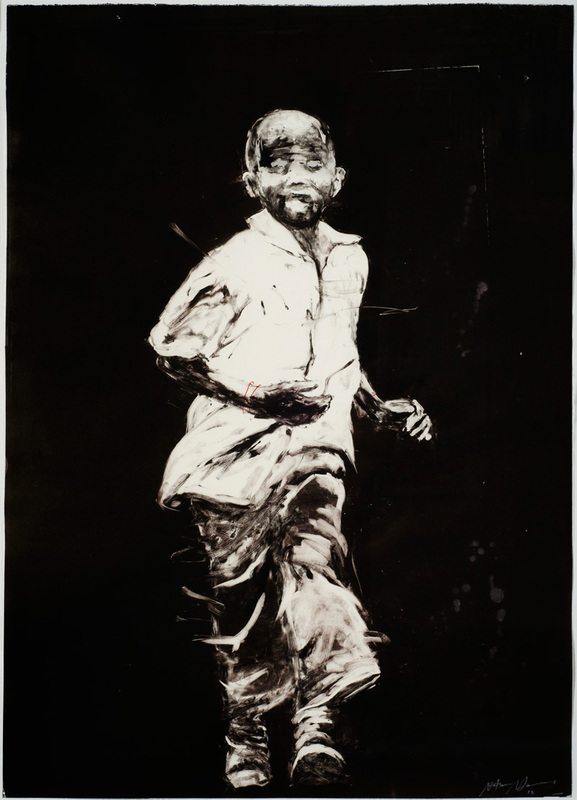 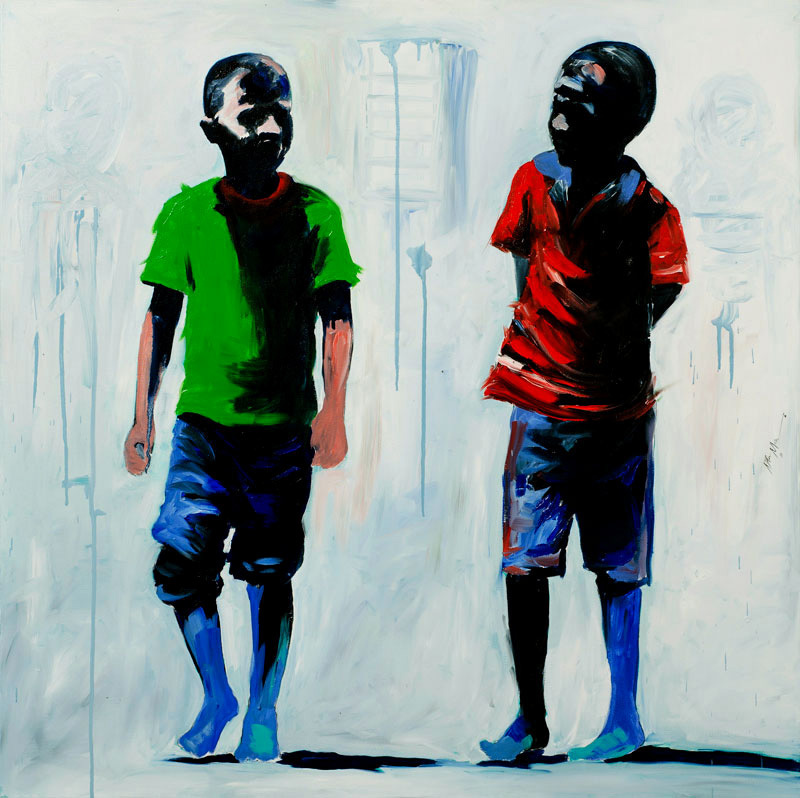 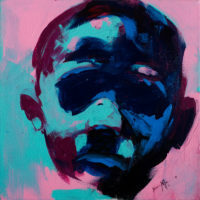 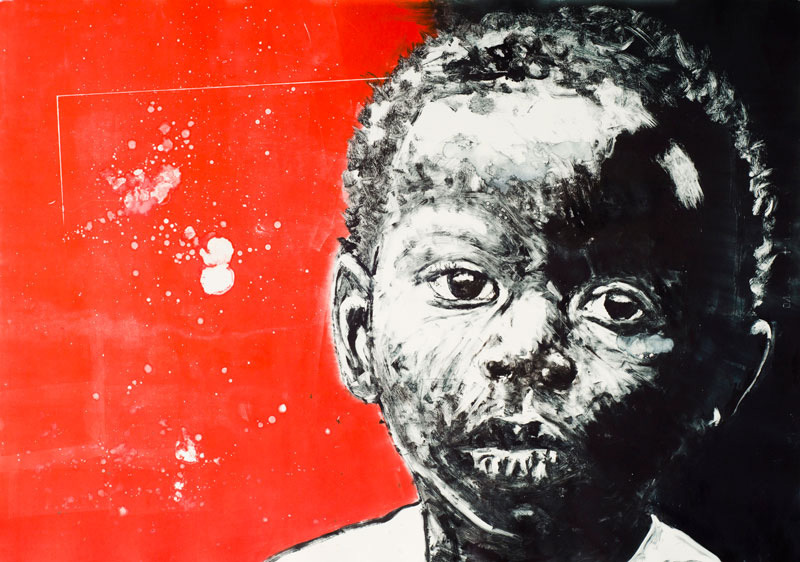 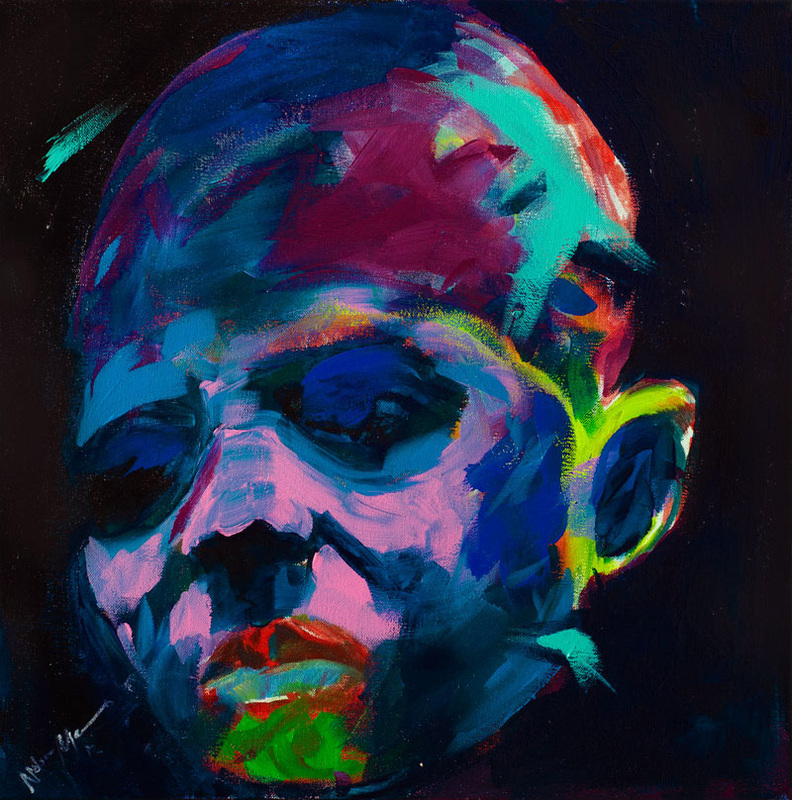 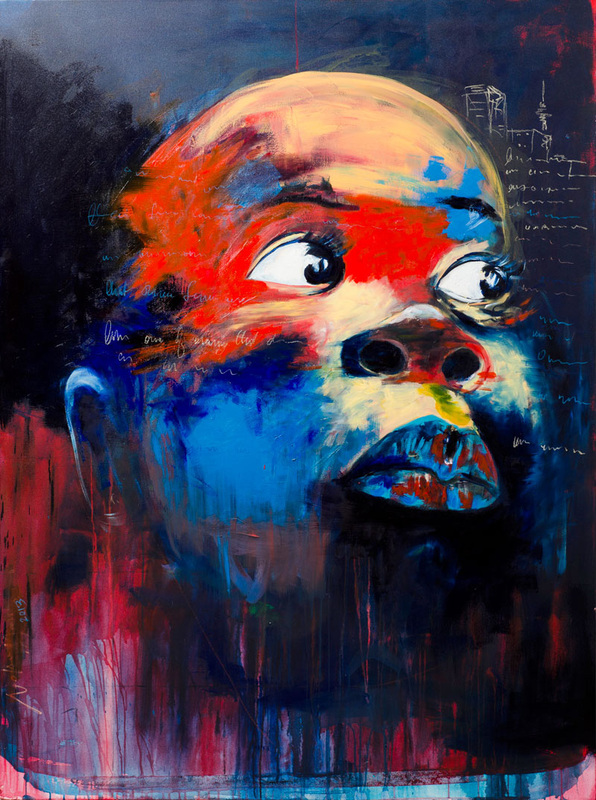 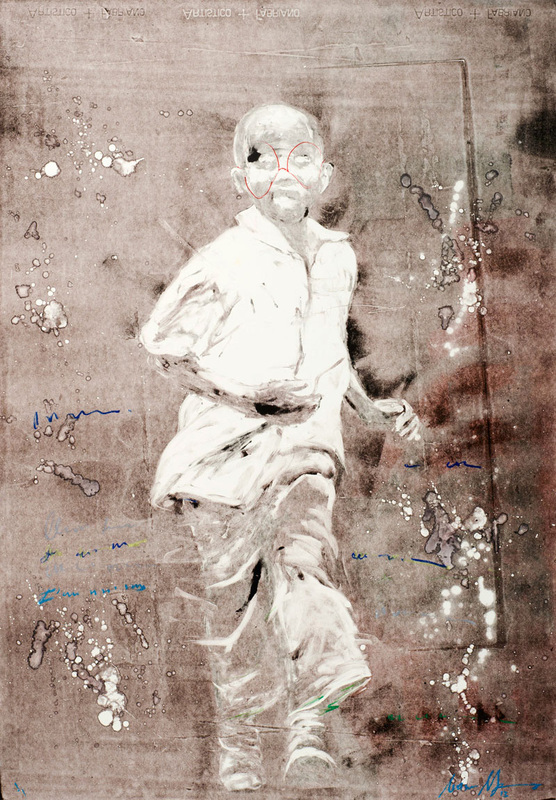 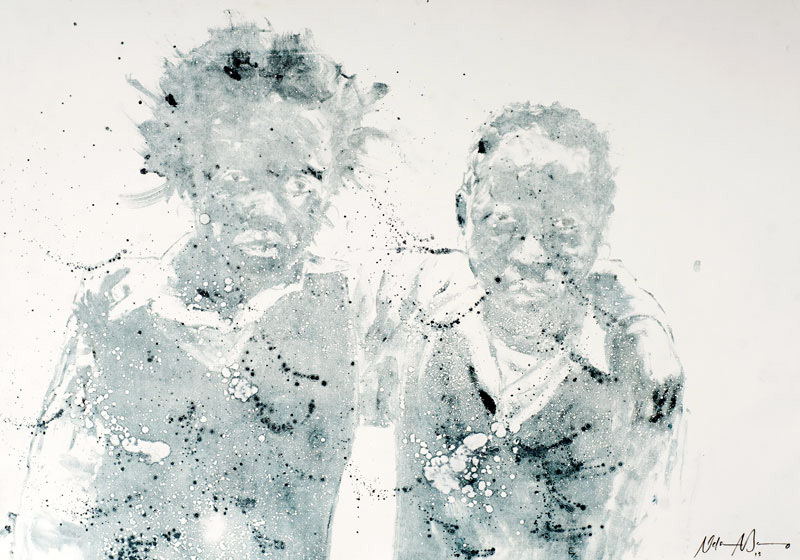 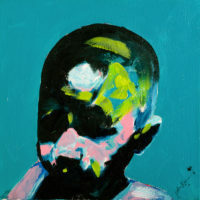 Key themes informing Makamo’s practice include the city of Johannesburg with its dizzying dynamism, portraiture, the narrative of the artist’s personal history – an unpolitical archive of personal experience, as well as themes of migration, urbanization, idenity, masquerade and the transition from childhood to adulthood. 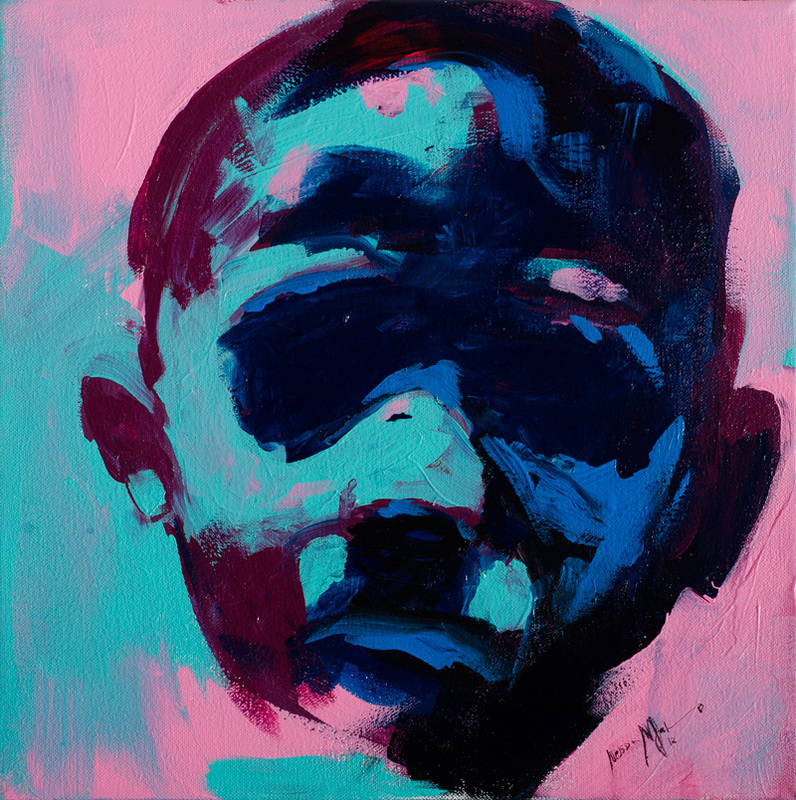 Makamo ultimately strives to communicate a universal experience, which viewers can relate to and access through his artwork. 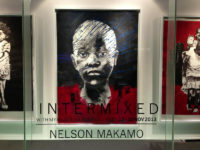 Nelson Makamo, was born in 1982, in the small town of Nylstroom (now Modimolle), Limpopo province. 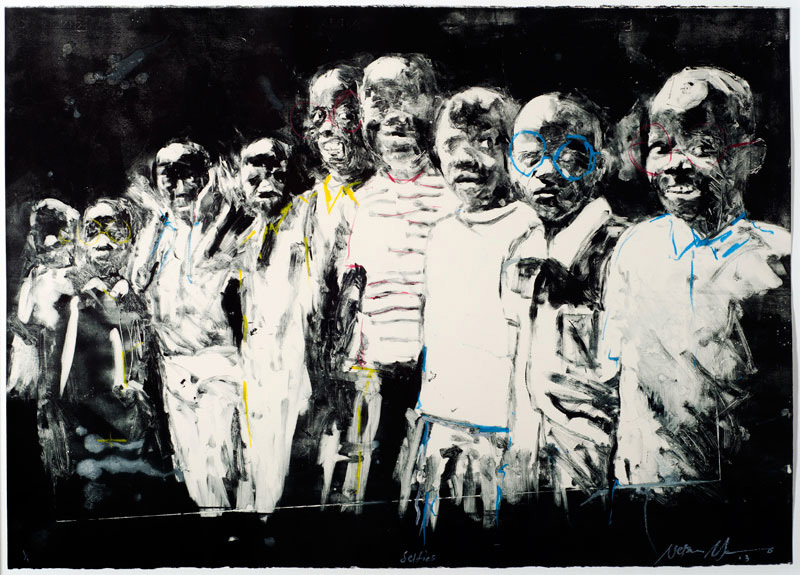 Makamo moved to Johannesburg to join the Artist Proof Studio in January 2003 where he studied for three years and worked for another two years at the gallery and as curator. 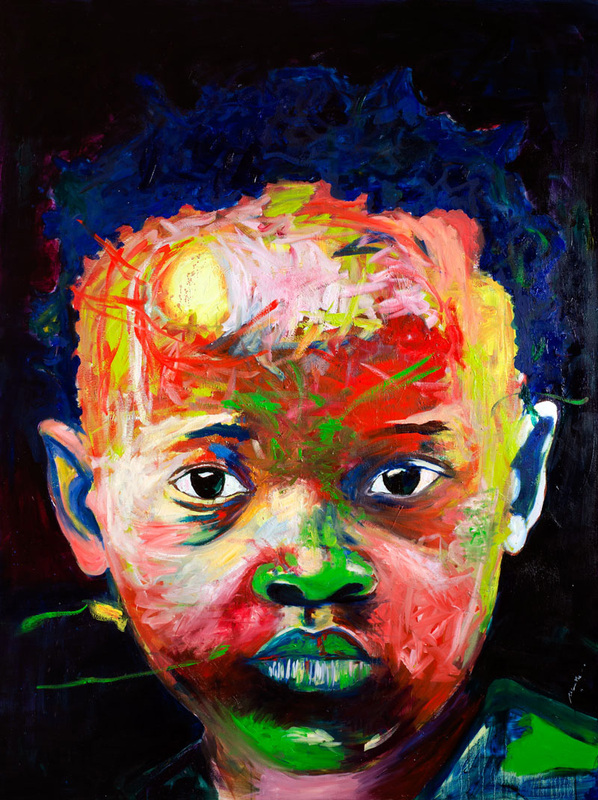 During 2005 he was awarded a bursary from Johnson and Johnson and the Pinpointone Human Resources Scholarship. 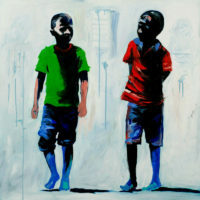 The artist has exhibited in an impressive number of group and solo exhibitions in South Africa, France, Italy, America, The Netherlands and Scotland. 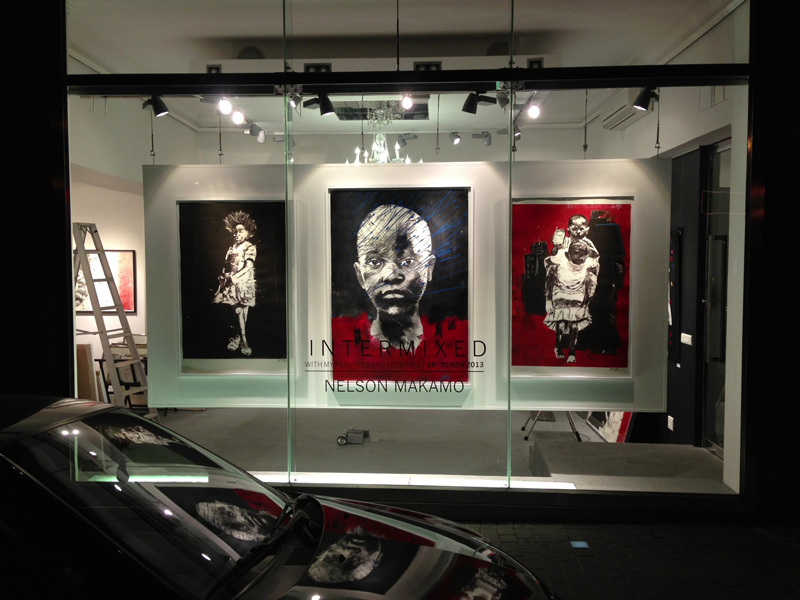 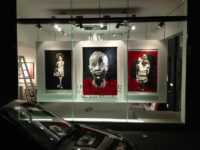 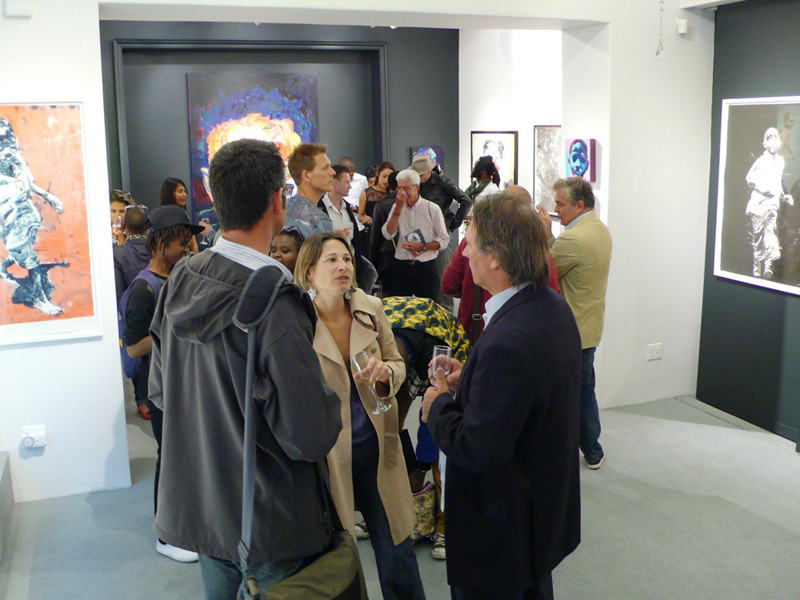 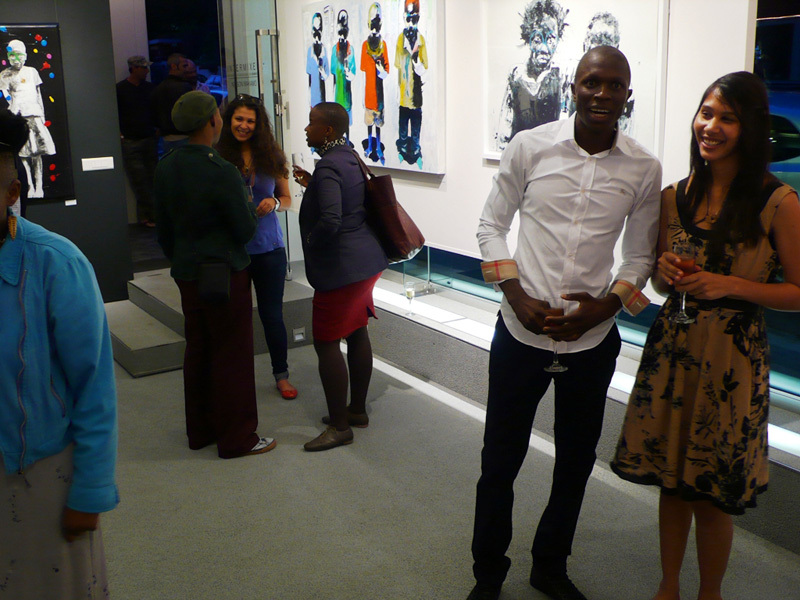 His first solo exhibition, Walk with Me, was held at the Obert Contemporary Gallery in Melrose Arch, Johannesburg. 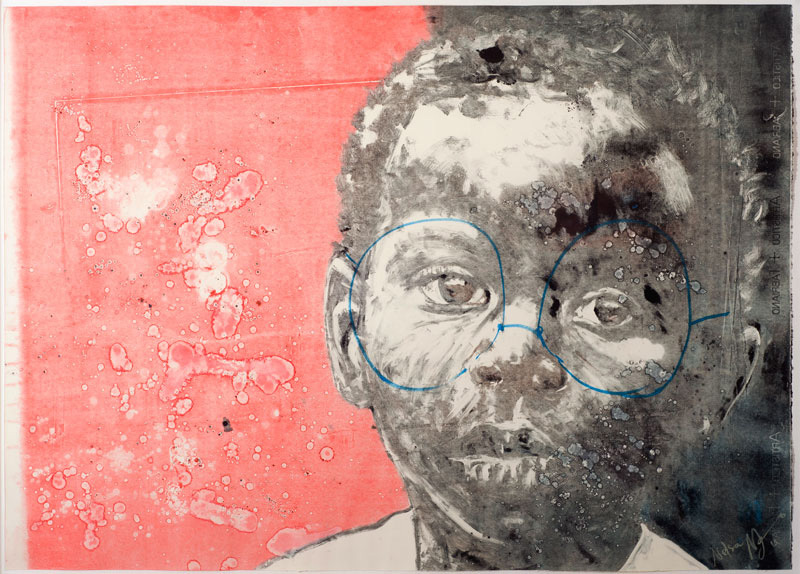 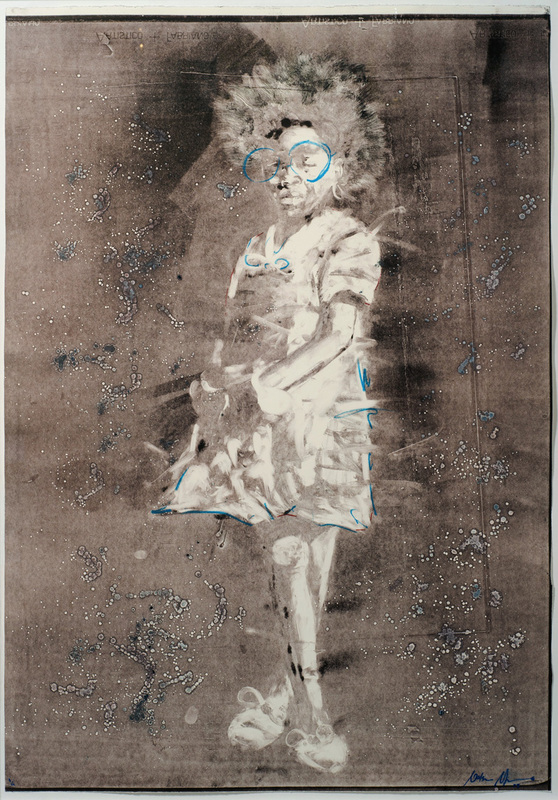 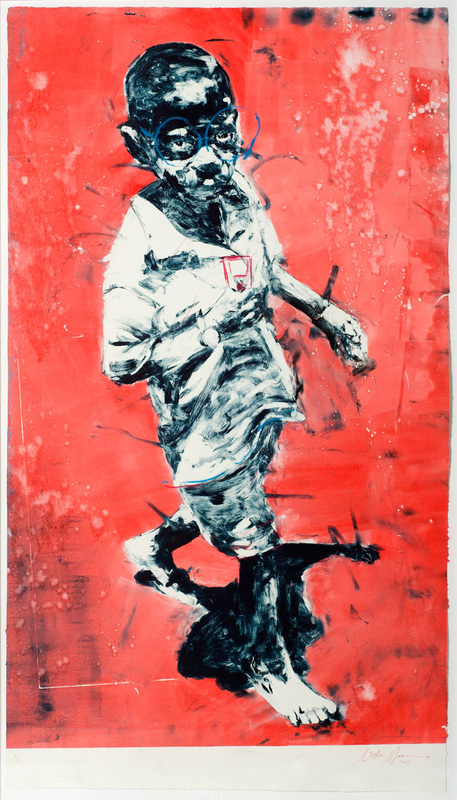 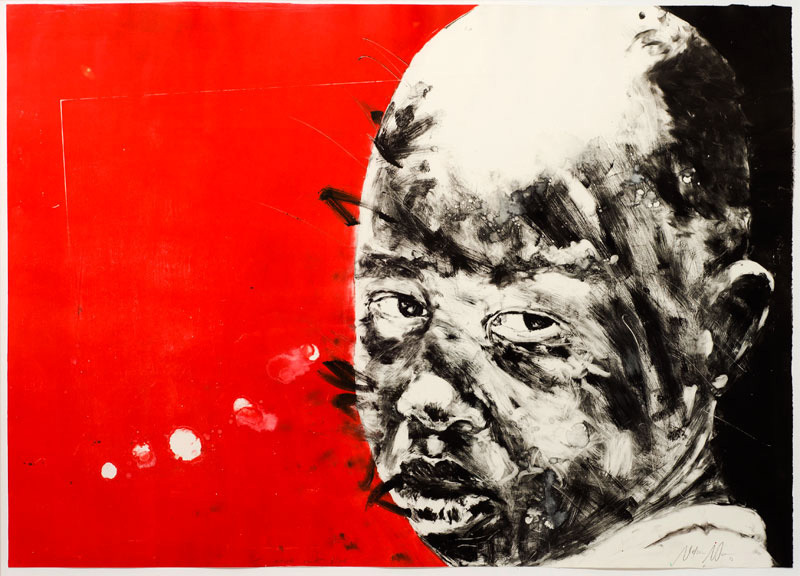 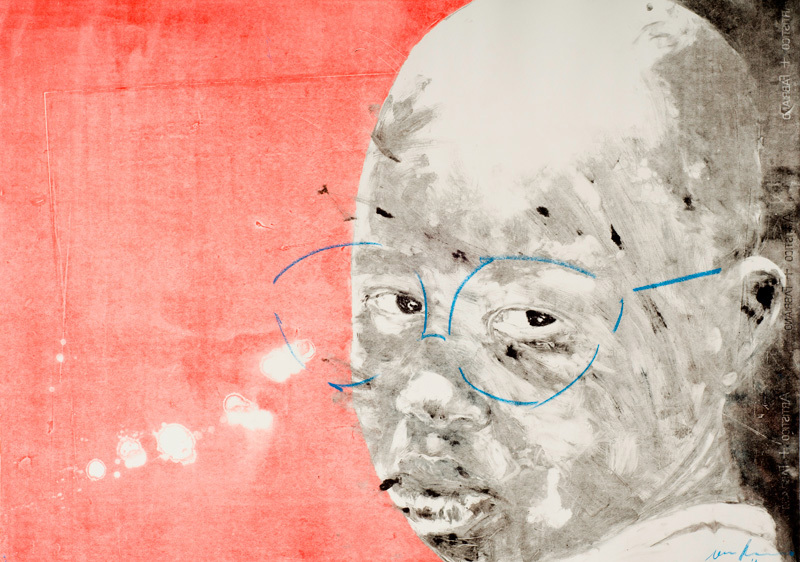 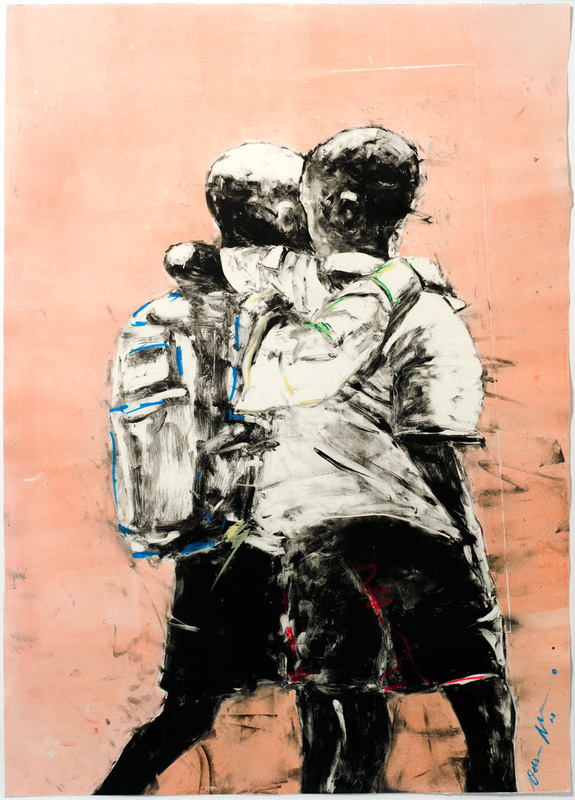 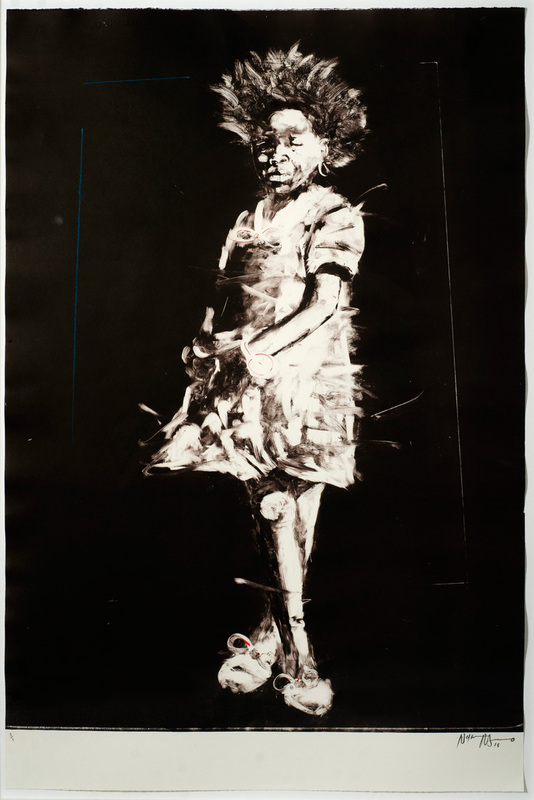 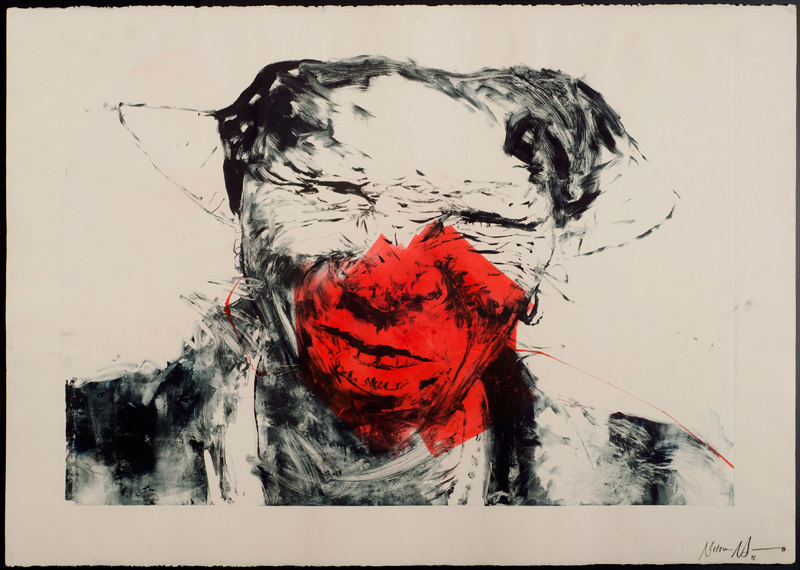 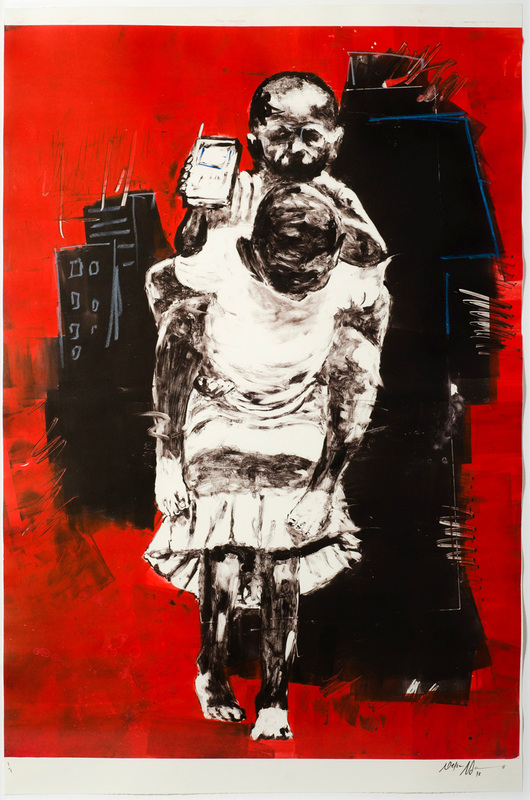 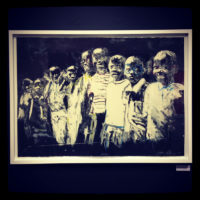 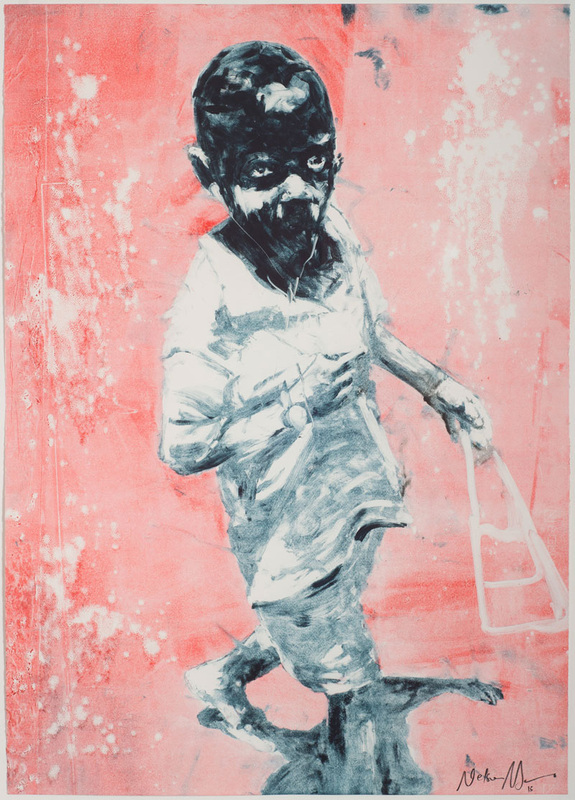 During 2006 Makamo exhibited alongside some of South Africa’s most established artists such as David Koloane, Colbert Mashile, Deborah Bell and William Kentridge in a group exhibition titled Ten Years of Printmaking: David Krut Print Studio. 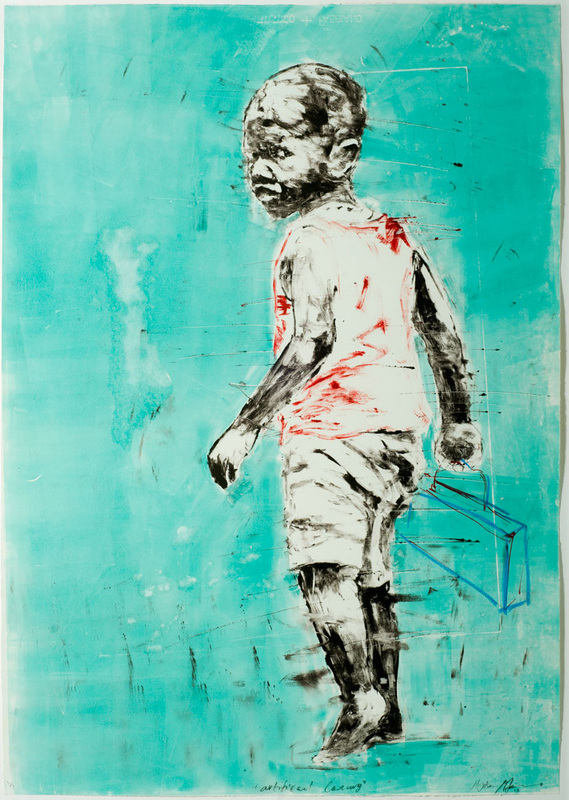 Nelson participated in a group exhibition at Salon91 in Cape Town, titled Figuring Difference during 2012, curated by Andrew Lamprecht. 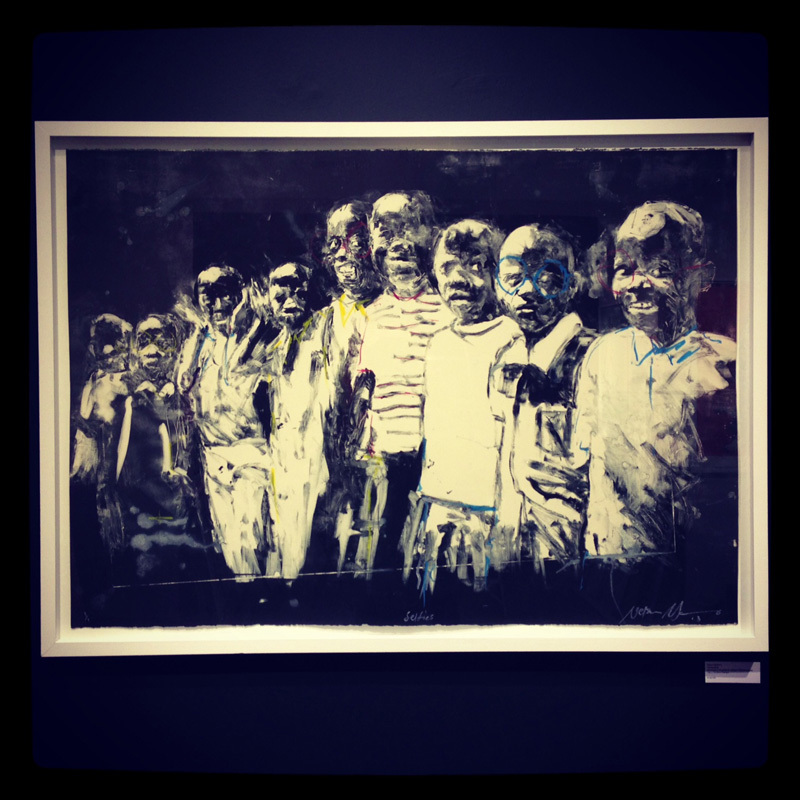 Makamo’s art is housed in the corporate collections of Standard Chartered, Telkom, City of Johannesburg, Unisa, Matasis Investment Holdings and Obert Gallery. Private local investors, as well as famous international personalities, such as fashion mogul Georgio Armani and musician Annie Lenox, also form part of his collectors. 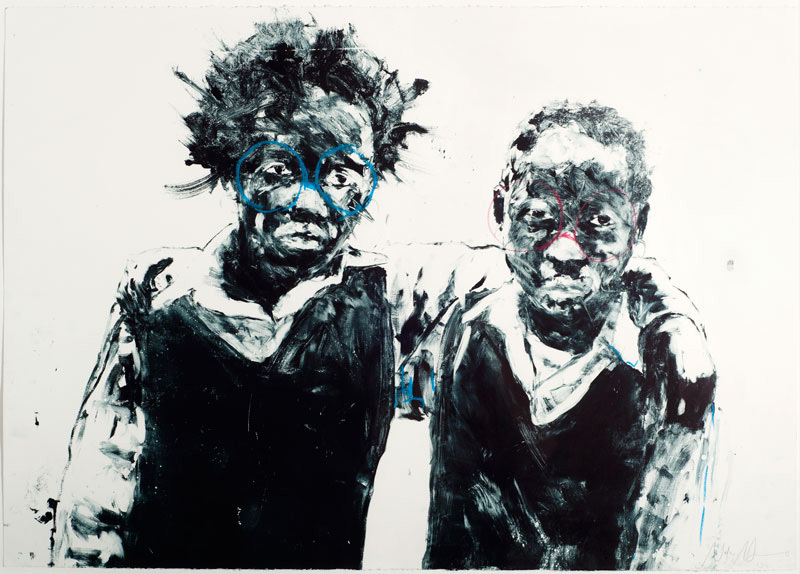 Some recent achievements include being named Art South Africa’s Seventh Bright Young Thing and winning the Klipdrift Gold Artists Award, as well as participating in the Venice Biennale. 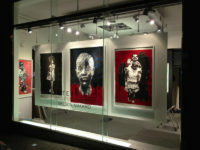 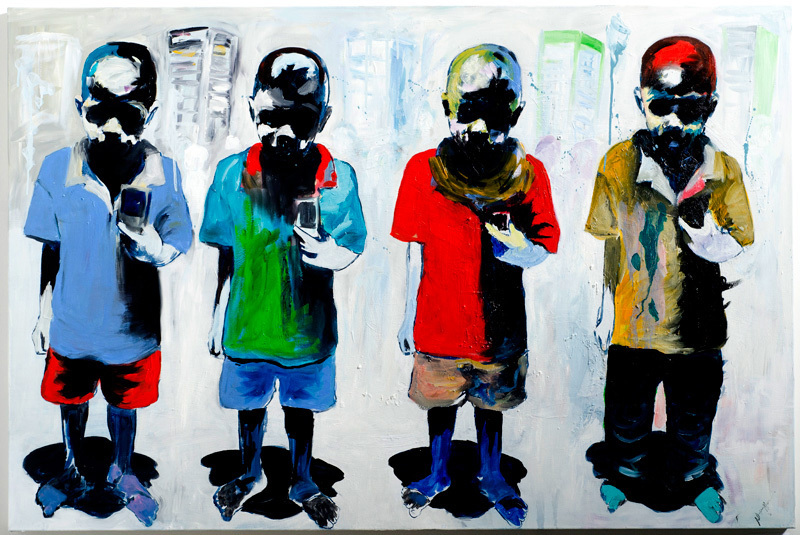 Makamo currently works as a fulltime artist from his studio in The City of Gold.